Bathurst/Steeles. 1 bedroom basement apartemnt for rent, available 1st August 2013. Seperate entrance, kitchen, living room, colse to TTC, park, stores.Please call 416 661 2715.xxxxxxxxxxxxxxxxxxxxxxx. one of the best Primrose buildings in Town. Beautiful Condo in one of the best Primrose buildings in Town. We have been hosting International Students from Brazil, and Spain attending KGIC for two years. We offer clean and spacious bedrooms, washroom, living room, dining room, and a backyard backing onto parks. Stores,bank,library, community centre close by. We provide fresh and hot lunches. Christian family with son and daughter ages 12 and 10. Condo in one of the best Primrose buildings in Town. Available Immedietly,Furnished,Clean, Quite Basement Apt. Bedroom, Living room, in very clean home, suitable for Female. No smoking, no pets please. Luxurious Boutique Condo At Steels And Yonge! Rare Offering In Luxury Condo "Eiffel Towers" By Menkes. Immaculate Sunny And Bright 1 Bedroom. Spacious Master Bedroom With Large Double Closet, Move In Condition. 1 Parking, 1 Locker. Steps To Park, Grocery Store, Library & More. Buses At Your Doorstep. 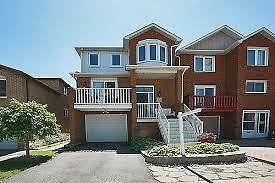 1 bedroom walkout basement apartment bright includes parking, laundry, utilities, cable. Near hwy 7,407,404, near promenade mall and transit. If your interested please contact 4168346037. Hi, I am a single Tenant with 2 Kids looking for a 2 Bedroom apartment/Condo. or Basement on September 1st. My afforded budget is from $750- $1000 per month only. (All inclusive) I am Quiet and a very good Tenant. Andy,P.